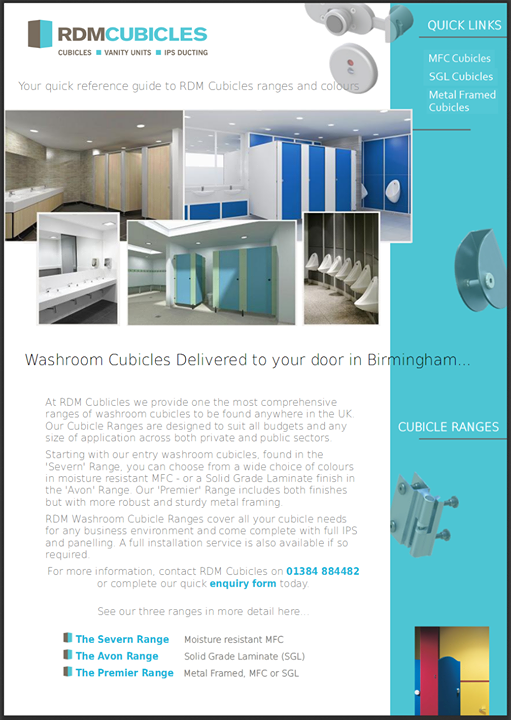 At RDM Cubicles we constantly strive to offer only the best quality Washroom Cubicle Solutions to our customers located in the Oxfordshire area. With an extensive range of Cubicles, IPS Ducting and Vanity Units we are able to provide an end to end solution for almost any installation. Whether your requirement is in Education, Leisure, Retail or a typical Workplace environment, then we are able to help. Our supply chain partnerships are comprised of some of the best known household names in the industry and mean that we can provide a speedy and ultra efficient service from our centrally located offices. We are always more than happy to visit and survey your particular job and are less than 90 minutes from most central Oxford locations. RDM Cubicles provide a variety of colour options in MFC and SGL Cubicles along with a range of hardware & ironmongery. A full fitting service can be provided. 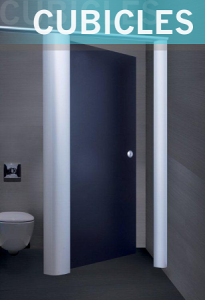 Download your Washroom Cubicles Quick Reference Guide to all RDM Cubicles ranges with sample colour options available for delivery to your door in Oxford. Save to your desktop or click to view in your browser. Bicester, Abingdon, Wheatley, Witney, Didcot, Wantage, Thame, Woodstock, Charlbury, and Banbury.